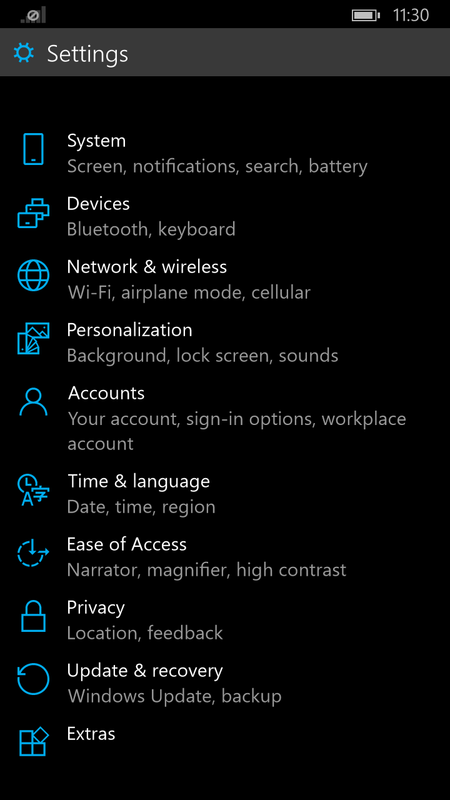 Yes, it's really been February since we last saw a Windows Phone technical preview update. So take heart—the next one’s due Friday. Gabriel Aul, the head of the Windows Insider program and point man for Microsoft’s Windows 10 technical preview program, confirmed the launch on Twit.tv’s “Windows Weekly” —the show wasn’t available on-demand at press time—and again on Twitter. While Microsoft has dramatically increased the number of phones that Windows 10 preview supports, there’s a small piece of bad news: the Lumia Icon and its international variant, the 930, won’t be part of the update. 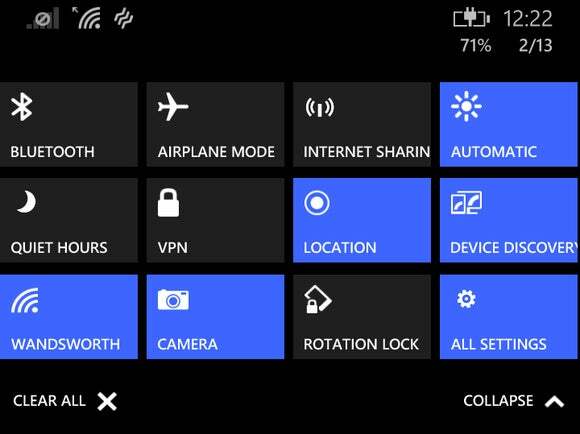 The Windows 10 for phones preview Microsoft showed off in February included this new Settings screen (above) and the new Action Center (top). Why this matters: As Microsoft nears the launch of Windows 10, the company is busy exposing the development process via its Windows 10 technical previews. Really, this is an even more critical process on the phone than the PC, given Microsoft's minuscule presence in the phone market. Let's hope this release makes a splash, for Microsoft's sake. 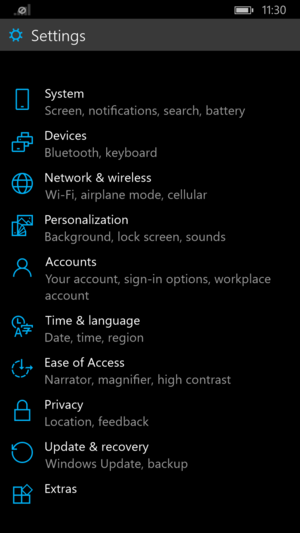 The Windows 10 technical preview that Microsoft rolled out in February was somewhat underwhelming, although Microsoft nailed some of the features, including the improved Action Center that put a number of the more frequent shortcuts under the thumbs of the user. The most dramatic improvement was the speech recognition, which not only worked very well but also was deeply integrated into the operating system. What we said then still holds true, however: Because phones lack any virtual machine capability, installing Windows 10 probably means installing it on your primary phone, a risky step. If you’re lucky enough to have a spare Windows Phone lying around, it’s a different matter. Aul didn’t disclose any of the features that could be expected in the new build—nor did he offer any hints of what Microsoft had planned for the BUILD conference at the end of the month. Tune in Friday, when we’ll download the new build and report on what features Microsoft has added to it.